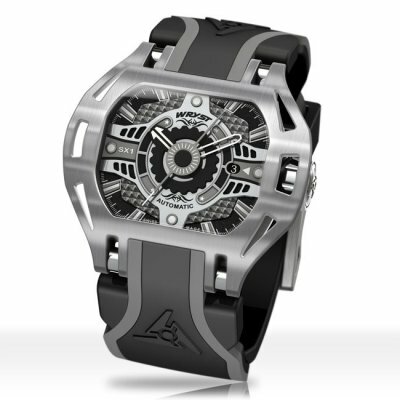 Wryst luxury Swiss watches for sports are some of the world's strongest and most exclusive. The designs are Inspired by Motorsports & Extreme Sports. Wryst Swiss watches are propelling reliability standards to a new level. The watch series are only produced in limited editions. The brand largest achievement is to satisfy professionals with durable luxury Swiss sports watches. Consequently, the unique timepieces are ultra-resistant and complemented by perfect craftsmanship. Our motto is to deliver quality Swiss watches at an affordable price. The latest automatic Swiss watches produced by Wryst are the new four references RACER. Bold, masculine and stylish, this collection is for the tough guys! With a quality self-winding mechanical movement the RACER limited editions are the luxurious timepieces you need in your life. Four references SX1 in stainless steel, SX2 in rose gold, SX3 in yellow gold, and SX4 in polished black DLC are available in exclusive small quantities of 75pcs each. Highly collectible, the automatic Swiss watches are designed to enhance your lifestyle like never before. Their see-through case back reveal the Swiss Sellita SW200 mechanical movement. Discover the most recent chronograph luxury Swiss watches produced by Wryst. Now with a larger, bolder and more masculine look. Available in 50mm case size, the four new Luxury Swiss Watches FORCE redefine elegance and charisma. These are all 100 meters water resistant and protected by sapphire crystal. Because of our natural environments, the forces of nature are everywhere around us. Speed, waves, winds, and gravity are all forces. So the Limited Edition watches for sports Wryst FORCE are celebrating the thrills nature has to offer. Most noteworthily the exclusive watch brand excels creativity. Showcasing Black DLC, Rose Gold, Polished finish and a first Blue casing reference. 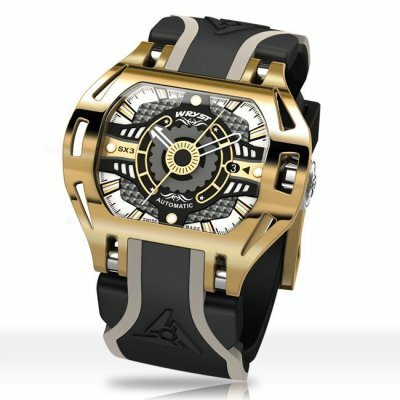 Only 75 pieces of each Wryst Force SX210, SX230, SX270 and SX300 luxury Swiss watches will ever be produced. 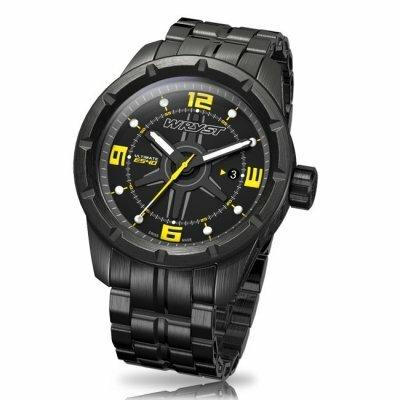 The Swiss Sports Watches for Men Wryst Elements. Probably some of the most futuristic extreme sports-inspired timepieces. These are no exception and deliver with an aggressive 3 hands date dial design. All references are brighter, louder and more colorful than ever before. These new sports watches are therefore totally unique in the watch industry. This exclusive collection is produced in limited editions of 75 pieces. The references Wryst Elements are all also delivered with two bracelets. 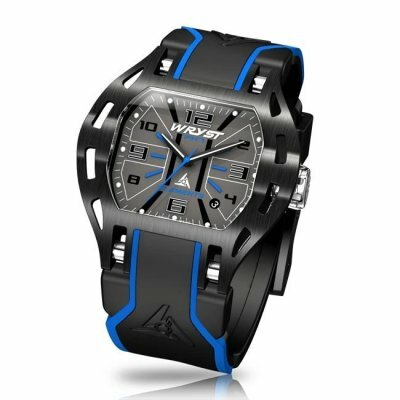 Wryst has developed a totally new black Swiss watch. 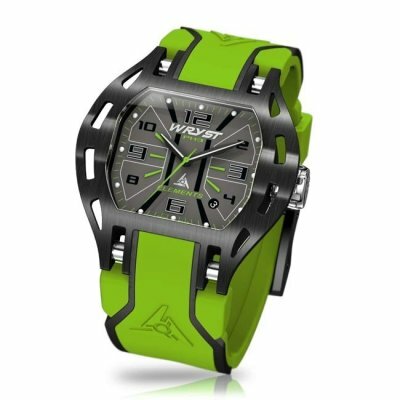 The exclusive brand produces Swiss watches for sports with an aggressive and bold look. For this reason, the feel is more attractive than most round face timepieces. Above all, the Ultimate collection benefit of sapphire crystal with an anti-reflection coating. The ES20, ES30, ES40, ES60 have screw down crown, square buckle, and casing protected with DLC (Diamond-Like Carbon). This hard coating is the world's most scratch-resistant for black watches. The Swiss watch brand has also released a plain brushed case model. The Ultimate ES50 has a striking combination of dark grey and bright orange colors. Wear your watches for sports uncompromisingly and on a daily basis. The Ultimate Swiss sports watches for men are offered in Limited Edition of 99 pieces. Likewise, these fun & colorful extreme sports limited edition watches represent simplicity, class, and refinement. SPONSORING THE WORLD'S FASTEST RACE! 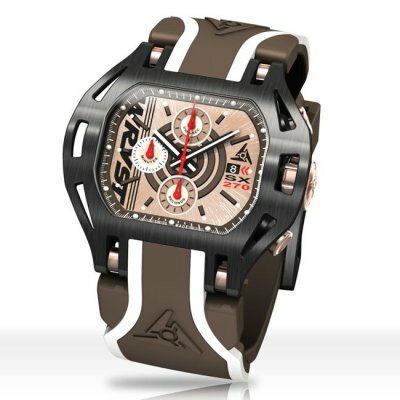 The Luxury Wryst Isle of Man TT Swiss Watches are now back in stock. With a bolder and bigger size 50mm, this is a truely masculine Special Edition chronograph. Fans and riders of the epic race can own a piece of history, again! The aired watch case is protected by the hard black DLC coating. Stronger than before, these exclusive timepieces also benefit of a sapphire crystal and 100 Meters water-resistance. 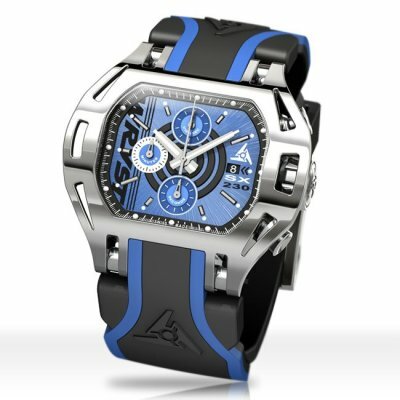 The unique luxury Swiss watches for sports pay tribute to the world's fastest motorbike road race. The logo of the Isle of Man Triskelion is engraved on the case back. The prominent chronograph function with red and yellow anodized pushers is another great feature. 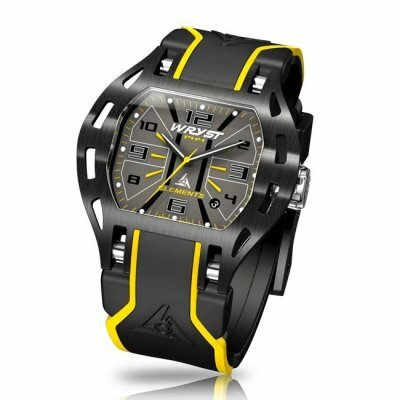 This is rather a must for motorsports-inspired watches. 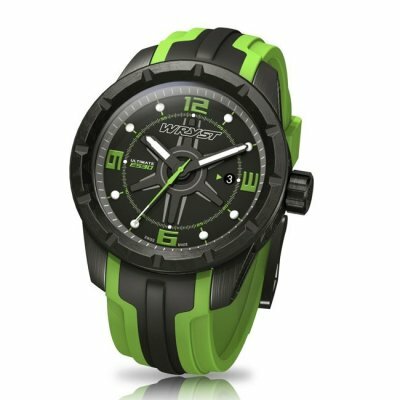 These Swiss watches are the perfect men's gift for racers and riders with a thirst for adrenaline.